Do you like “Bad Kitty” books? 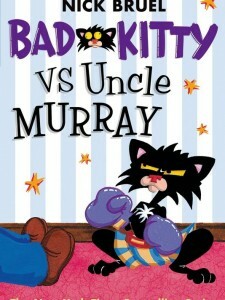 Well if you do, check out “Bad Kitty Vs. Uncle Murray”! Trust me it’s great! You have to read the book to find out the rest! This story reminds me of when my mom told me a story about her younger brother when they had baby hamsters. Her brother let them out. She found all of them in different places all over the house, just like when Uncle Murray found Bad Kitty all over the place! When my mom and dad are doing something I blend into things and try to scare them, just like Bad kitty. Bad Kitty is just like my sister Isabel. They are both so silly. Uncle Murray is just like my dad Richard. He gets so frustrated over something that HE did! If all of the cats were humans, they would be great friends because they will always stick up for me. I think the main idea of the story is “Don’t judge a book by its cover.” The most important part of the story is when Uncle Murray came over to their house. 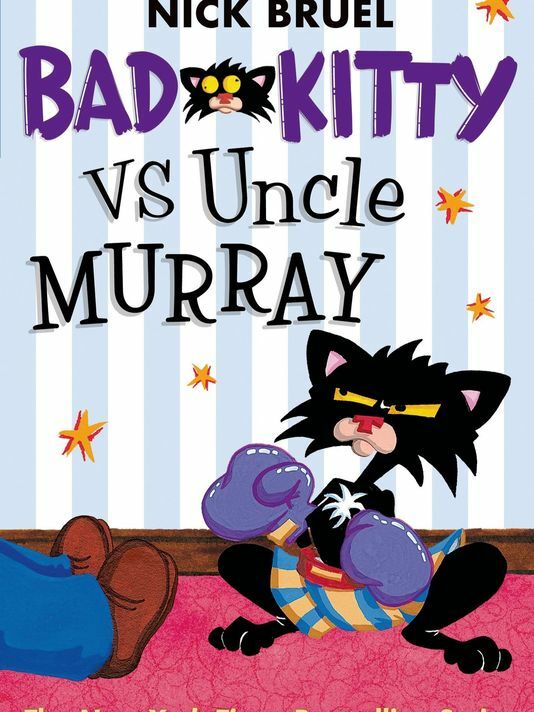 The funniest part of the story to me was when all of the cats started chasing Uncle Murray! This book makes me want to read more of the series. I think the author wrote this book to make kids laugh and have fun reading. This book makes me think of my happy place.